I have a new appreciation for a specific project need after teaching a Mastering Requirements course earlier this week. I had asked the participants to come up with examples of goals or requirements for a situational software product. However, I did not offer them the two most important pieces of information, the project vision and objectives. It was an oversight on my part. I erroneously thought that they would automatically have the same vision as I if I provided a clear project title such as Classes Registration System. Two things happened. Another exercise was to take a stakeholder statement “I want full details on students” and interview me to get to the real need. I inadvertently tripled the size of the project by adding requirements related to a Customer Relations Management (CRM) system. Lucky for all of us, one clever participant spoke up, “I thought this was a class registration system. It sounds like you want a CRM solution for marketing.” Oops…busted! Yes, I was the scope creep. It is much easier to call “creep” on an instructor in a classroom setting then it is an executive manager within your organization. You are likely to run into “just do it” even if you do say something. Your best defense…a clear, documented vision and objectives for the project to serve as a guide and negotiation tool. 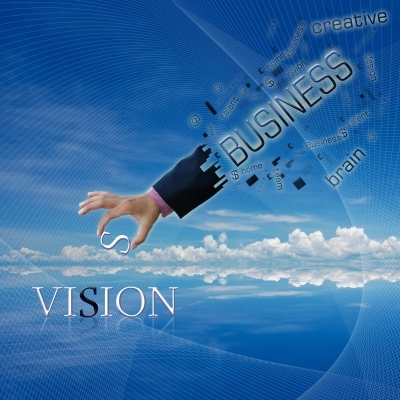 Vision – a description of how the world looks after project implementation. Students will be able to sign up for designated classes and the organization will have a record of who has attended what classes. Objectives – expected measurable results from project implementation. Responding to ideas outside of the vision and objectives become much easier with this context. Now the BA can respond with “how will that help us meet the objectives of the project?” when the business owner says “I want the student’s home address so that I can send a Christmas card”. While having other features may be nice and add value, it clearly does not fit into the intent of the funded, schedule project. Scope creep diverted – schedule and budget saved. How many “quick, little projects” have you worked on where the vision and objectives were assumed rather than documented? I’ll admit it, I’ve seen a few. It won’t happen on my projects, or in my class, after seeing the difference that simply documenting and agreeing to these makes. That doesn’t mean I won’t try to trick students so that we can practice scope negotiation in the future. More information on this class is available at https://project-pro.us/2012/04/17/master-requirements/. Contact me to bring this class to your area.